Subrahmanyam, son of strategic analyst K Subrahmanyam and brother of former foreign secretary S Jaishankar, won the award in the category of 'past time dimension' for his work in macro history. The international Dan David Prize is awarded annually to those who have made outstanding scientific, technological and humanistic accomplishments in fields representing the past, present and future of human achievement. Three Dan David Prize are given every year. Subrahmanyam, an alumni of University of Delhi, holds the Irving and Jean Stone Endowed Chair in Social Sciences at the University of California, Los Angeles (UCLA), which he joined in 2004. 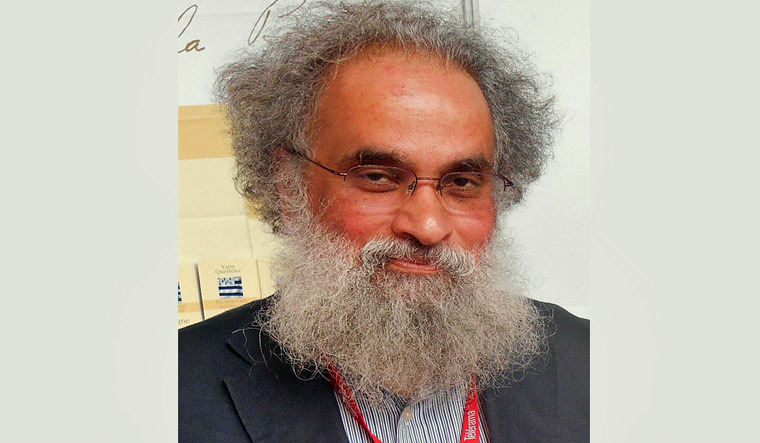 He is also the recipient of the Infosys Prize for humanities for his "path-breaking contribution to history". The winners in the "Present" category for "Defending Democracy" this year has been won by Reporters without Borders, an organisation that works for the freedom of the Press and Prof Michael Ignatieff. Ignatieff is a Canadian author, academic and former politician who headed Liberal Party of Canada and was also the leader of the official opposition for almost three years. Subrahmanyam, with this honour, joins the elite group of other prominent Indian laureates of the Dan David Prize which includes author Amitav Ghosh, music conductor Zubin Mehta, renowned chemist CNR Rao and astronomy professor Shrinivas Kulkarni. In order to encourage and foster new generations of scholars, the laureates are required to donate 10 per cent of their prize money towards scholarships for graduate or post-graduate researchers in their respective fields. Other prominent recipients of the award include former US vice president Al Gore, former British premier Tony Blair, cellist Yo-Yo Ma, novelist Margaret Atwood, Wikipedia co-founder Jimmy Wales and filmmakers Joel and Ethan Coen. Meanwhile, reacting to Subrahmanyam's achievement, eminent Indian historian and writer Ramachandra Guha tweeted, "Delighted that my college contemporary Sanjay Subrahmanyam has won the Dan David Prize. Our teacher Dharma Kumar said when he was a student: Sanjay will be India's first truly world-class historian. And so it has proved." He further said, Subrahmanyam "is a true polymath; in his command of languages and sources, his brilliant analytical mind, his interdisciplinary framework, his literary flair. Incidentally all his degrees are in economics, all from the University of Delhi."